Some may claim to have no shame, but premium cable is in a class by itself. Today, Showtime announced it has renewed its Shameless TV show for a tenth season. The renewal comes despite falling ratings and the fact that female lead Emmy Rossum is leaving the series at the end of season nine. In addition, TV Guide reports Cameron Monaghan, who left the dark dramedy during the first half of the ninth, will return as Ian Gallagher for the show’s tenth season. A Showtime original, Shameless follows alcoholic father Frank Gallagher (William H. Macy) and his resilient, self-reliant kids who scramble to survive. 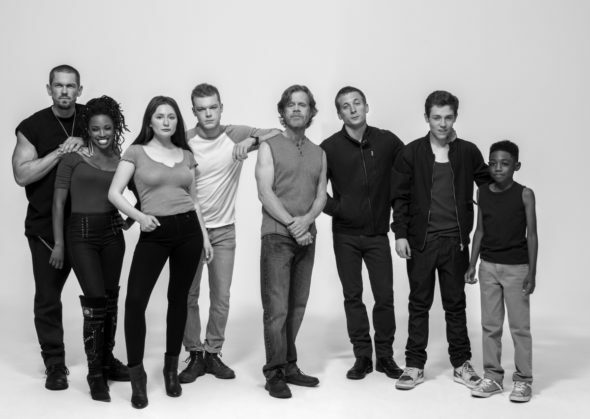 The cast also includes Jeremy Allen White, Ethan Cutkosky, Shanola Hampton, Steve Howey, Emma Kenney, Richard Flood, Christian Isaiah, and Scarlet Spencer. The ninth season of Shameless is averaging a 0.35 rating in the 18-49 demographic and 1.01 million viewers. Compared to season eight, that’s down by 35% and 32%, respectively. Learn how Shameless stacks up against the other Showtime TV shows. Production on the new season will begin in 2019 but no premiere date has been set yet. The 10th season will see the Gallaghers trying to keep their heads above water without their stand-in matriarch Fiona (Rossum). Ian’s return to the series could help fill that void, but with Rossum gone, you can expect that Debbie (Emma Kenney) and Carl (Ethan Cutkosky) taking bigger roles within the family. “All of us on Shameless are delighted that we get to tell more wonderful Gallagher stories – and thankful to Showtime for their continued support. We can’t wait to get back to work with this extraordinary cast,” showrunner John Wells said in a statement. What do you think? Are you still a fan of the Shameless TV series? Do you plan to tune in for season 10 on Showtime? Let us know, below. More about: Shameless, Shameless: canceled or renewed?, Shameless: ratings, Showtime TV shows: canceled or renewed? Shameless: Cancelled or Renewed for Season 10 on Showtime? I love Shameless and hope they keep it going. So much material to grow on. Even Fiona can come back for cameo appearances would be great. Super excited for season 10 to come out!